FAQ developed by Elfsight team is convenient and easy to work with and configure. 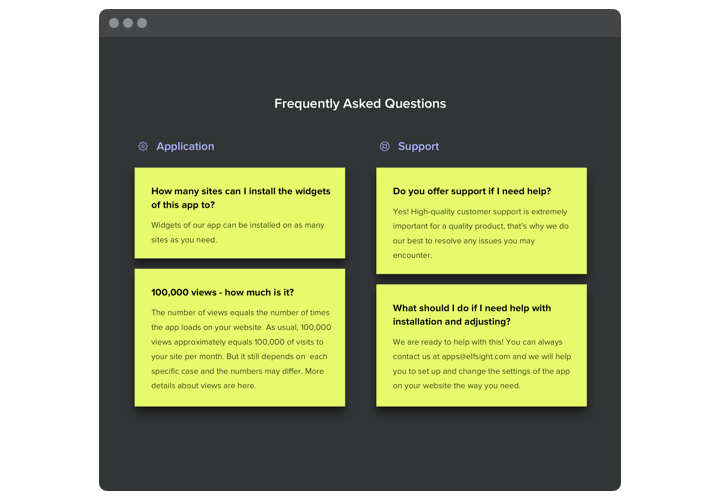 This application helps generate and publish a unit of the most popular questions with answers on your personal site. An informative app with uncomplicated navigation allows you to provide maximum details about your offers, focus clients’ attention on their strong points and combat doubts and distrust, which may prevent a purchase. 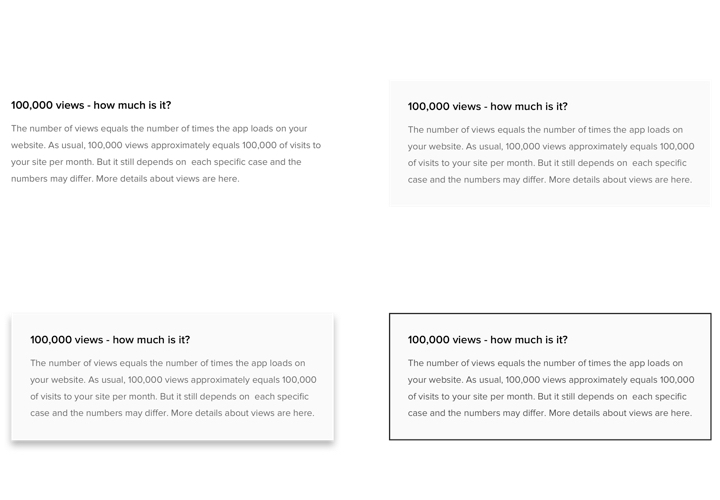 Address questions coming from your customers maximum quickly and raise sales on the site! Lead users to purchase with strategical answers. 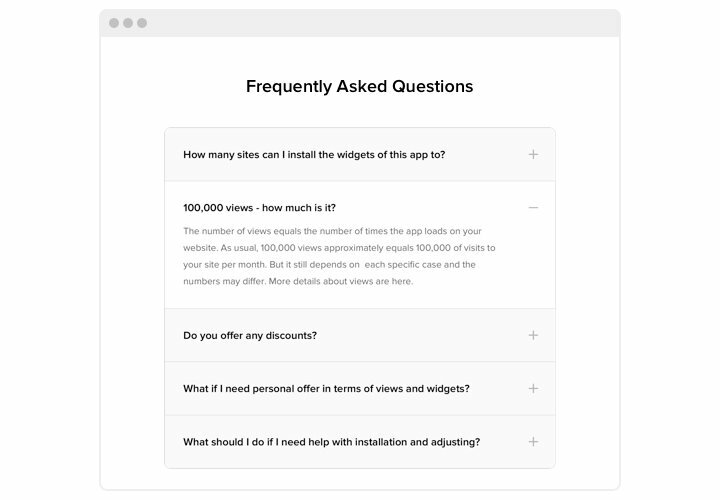 Add answers to the key customers’ questions beforehand and convince users to make a purchase from your site. Deliver the right image of your company to clients. Ensure your users have the right perception of your company and its commercial model, to combat their misconceptions or doubts and convince them for cooperation. Reduce time and cost of clients support work. 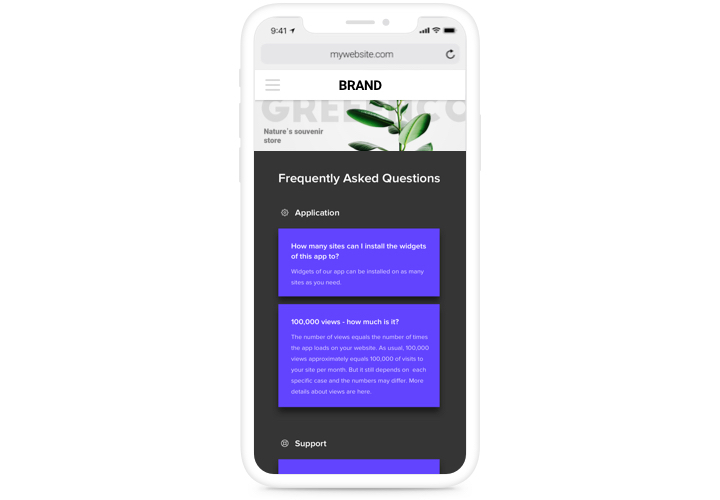 Give answers to maximum of frequently asked questions about your products or services, to take away the extra load of your customer support. The most important characteristics of Elfsight app, which turn it into the handiest instrument to add FAQ on Shopify website. Install a app using our brief manual. You don’t need experience in web development, or help from a programmer. Total setup time is only 60 seconds. Choose «Get» button, to display the app on a Shopify website. Insert the text of the questions and answers and set desired look. Get a widget code. Embed the app on the page. Enter «Pages» tab and find the page to display the app. Next to that, place the code in HTML mode and apply the changes. Go to your site, to see your results. Having any queries with the instruction application? 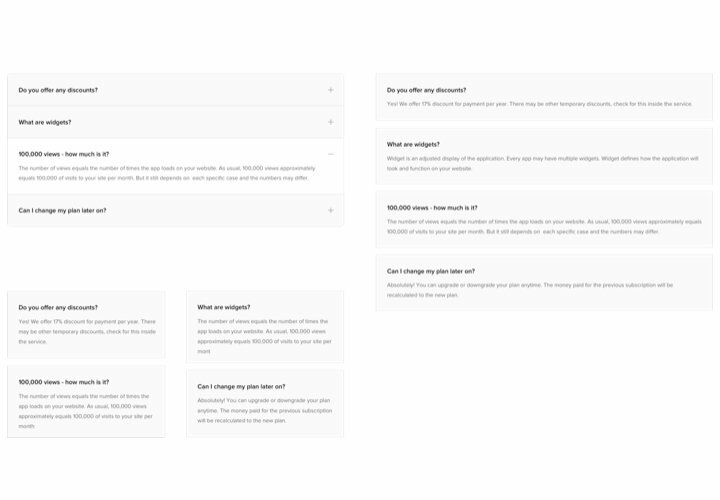 Contact Elfsight support team or read a complete version of the tutorial «How to add FAQ to Shopify» and try adding yourself one more time. 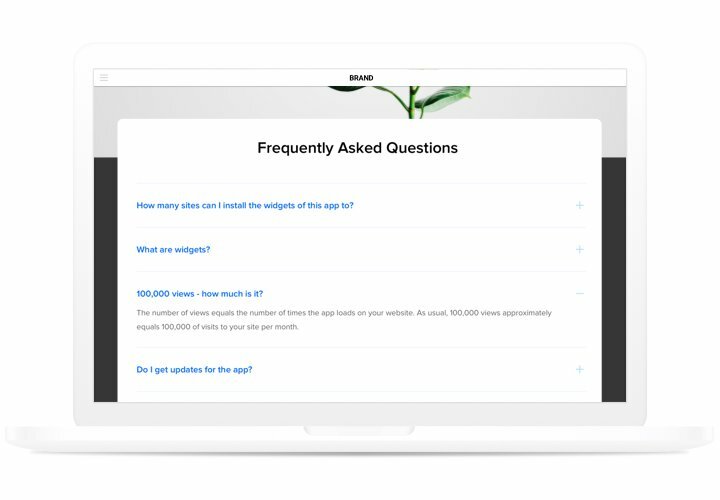 Set Shopify FAQ app in just 2 minutes!